compEAct is the ULTIMATE analyzer for demanding high-throughput applications. 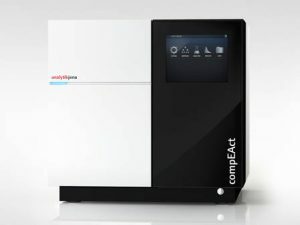 The compEAct series offers compact, space-saving combustion systems for the fast and cost-effective determination of Total Sulfur and Total Nitrogen in liquids, gases and LPG samples. They combine efficient, catalyst-free high-temperature combustion with highly sensitive HiPerSens® detection thus providing outstanding analytical performance and application flexibility with a high ease-of-use.